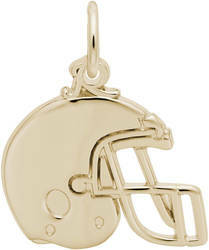 Football helmet charm by Rembrandt. Measures approximately 0.54 inches x 0.66 inches (13.68mm x 16.76mm). Available in several metals.